One of the most famous places for not just wedding shoot but also for movies and songs, Nalagarh Fort is definitely the first pick for people who are looking to create a larger than life wedding album. The palace, known for its magnificence and architecture is home to some of the most luxurious gardens in and around Tricity. You can visit the palace to take a closer look at the beauty of the location – it’s a mere 60 minute drive from the city. 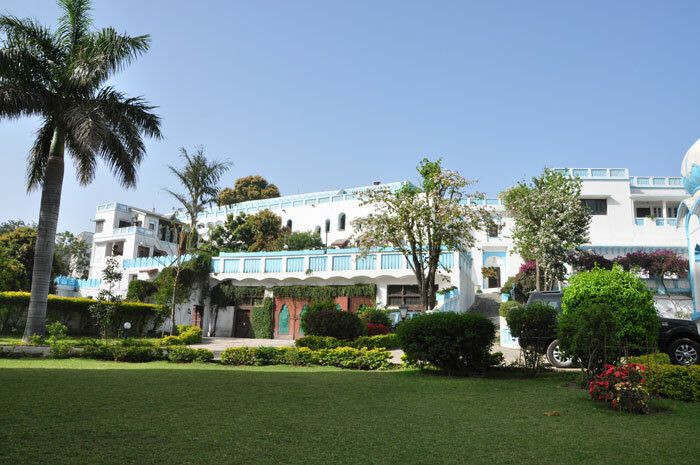 The second place on the list that we have for you is The Fort Ramgarh. The Fort brings with it the historical magnificence of more than three centuries. The exotic splendor and magnificent beauty accompanied by the breezy whiffs make it one of the most majestic locations for a wedding photo-shoot. The Fort also houses a collection of Vintage cars, which can be just perfect to stamp an authority of creativity on your wedding photo shoot. Create by the Nek Chand; Rock Grande has become synonymous to Chandigarh. Though the place was created completely using the waste material, it has some beautiful locations for the perfect wedding shoot. From the splendid swings to camel rides what not, your photographer can play with his or her creativity to create the most magical wedding album and photo-shoot ever! Another famous place in Chandigarh that is appreciated for being a symbol of the city is Sukhna Lake. There is the recently added Garden of Silence, the backside where migratory birds visit every year, and there are plenty of other beautiful spaces on the lake where you can click some astonishing pictures. Plus, how can we forget about boating in the lake! Last, but certainly not the least name on this list has to be Pinjore Garden. A place that has fetched the attention of people from near and far for all these years, Pinjore Garden gives you the perfect place to photoshoot surrounded by greenery and some craftily designed historical sculptures. If you want to bask in the glory of our heritage, and have awe-inspiring photo-shoot, then going to Pinjore Gardens can be just the perfect idea. This was my list of top destinations in and around Chandigarh where you can visit to create the most beguiling photo-shoot before your wedding event.